Anglo-Iranian political prisoner Nazanin Zaghari-Ratcliffe and Iranian human rights activist Narges Mohammadi have begun a three-day hunger strike in Tehran’s Evin Prison. The two detainees are protesting denial of access to medical care for serious conditions requiring treatment. 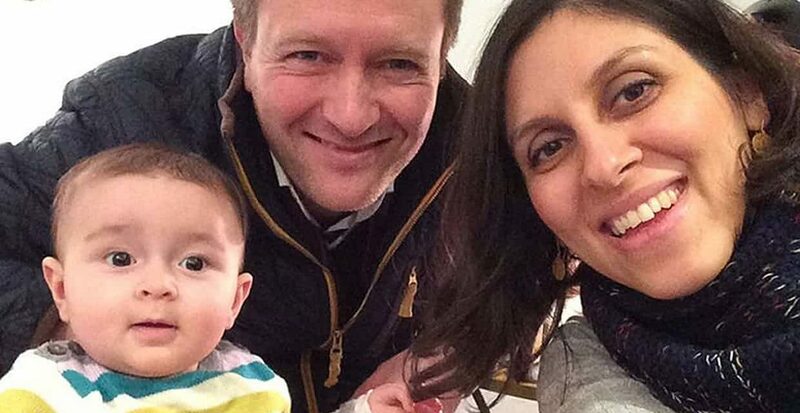 Zaghari-Ratcliffe, a project manager with the Thomson Reuters Foundation, was arrested in April 2016 as she and her infant daughter Gabriella were flying out of Tehran after visiting relatives. The charity worker was sentenced to five years for plotting to overthrow the Iranian regime, a charge unsupported by any public presentation of evidence. Mohammadi, vice president of the Center for Defenders of Human Rights, is serving a 16-year sentence for her role in the CDHR and for “establishing and running the illegal splinter group Legam”, which campaigns for the abolition of Iran’s death penalty. A spokesman for Iran’s judiciary refused to comment. But last weekend Iranian State TV broadcast a “documentary” which portrayed Zaghari-Ratcliffe as a handler of journalists seeking to subvert the Islamic Republic. The “evidence” consisted of a series of unsupported claims about Zaghari-Ratcliffe when she worked with BBC Media Action, which trains journalists overseas, after the disputed 2009 Iranian Presidential election. Ratcliffe indicated that, far from easing prison conditions and allowing medical access, Iran’s hardliners were taking a tougher line. He said his wife was told by Revolutionary Guards in late December that she would be “safer afterwards” if she spied on the UK Department for International Development and the civil society organisation Small Media. Small Media was named as a subversive group seeking Iranian regime change in the Iranian “documentary” that also attacked Zaghari-Ratcliffe. Ratcliffe repeated that the charity worker is concerned about lumps in her breasts, neck pain, and numbness in her arms and legs. She is also being denied access to a psychiatrist, despite the recommendation of the prison doctor.